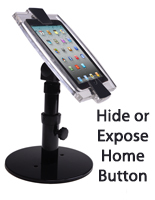 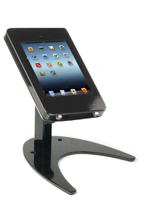 This mini iPad stand for retail counter features sturdy aluminum construction, a locking enclosure, and permanent mounting option, making it ideal for use in commercial environments. 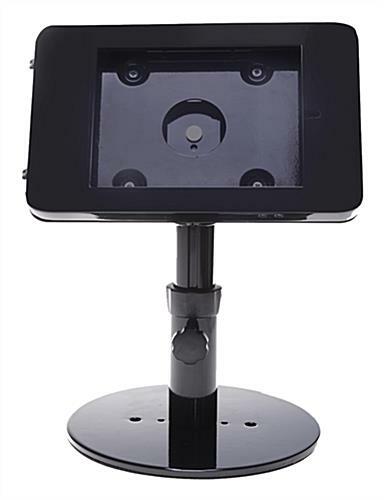 This versatile fixture allows devices to rotate, flip, and swivel, allowing it to be used as both a customer-facing or staff-facing accessory. 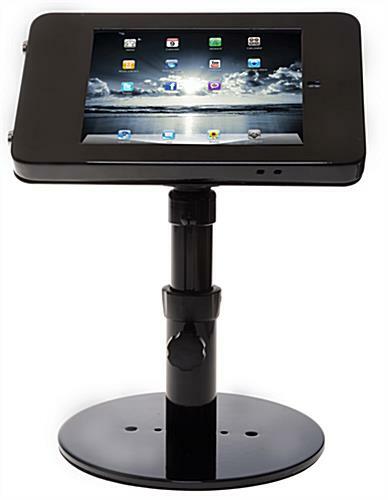 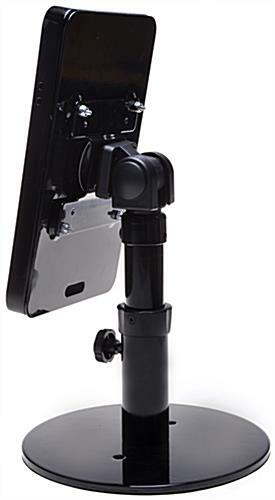 This commercial grade iPad mini stand for retail counter blocks access to Home button functions, but allows full use of the camera and volume controls. 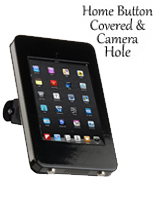 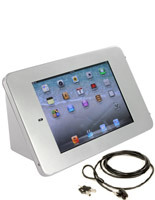 This user-friendly device enclosure can be set to between 13" and 15" high for usability. 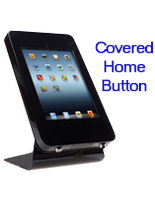 This locking stand for retail counter that supports the first 4 generations of Apple's Mini-size devices is a sturdy countertop accessory that features pre-drilled holes that allow each unit to be permanently mounted in place. 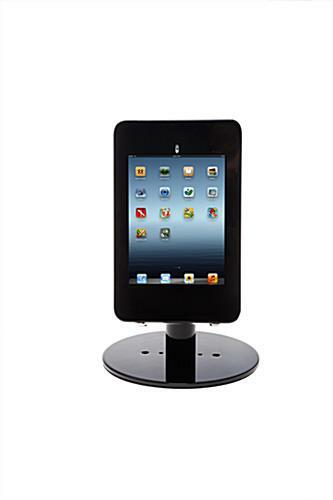 This commercial tablet fixture is ideal for use at point of sale, in showrooms, as a check-in fixture, and in almost any business environment.